On Thursday, March 5, 2015, the United States Patent and Trademark Office (USPTO) published a patent application filed by Google in September. 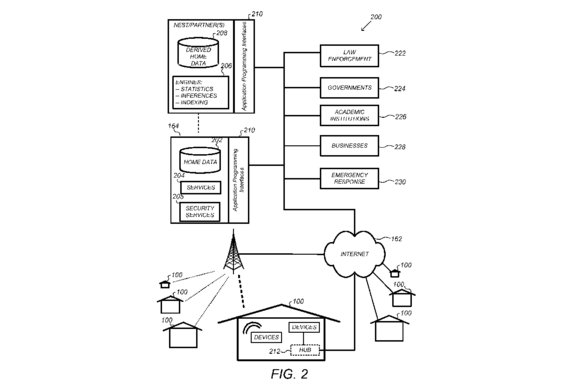 Titled “Security Scoring in a Smart-Sensored Home”, it simply repeats, with a few additions, the claims made in a prior patent application filed by Nest in March 2013, almost a year before the smart thermostat-maker was acquired by Google for $3.2 billion. But that’s beside the point, which is that Google is toying with the idea of scoring smart homes on how secure they are. “The security score may be generated based on processed home data that may include at least one of various types of data, including, but not limited to, capability data, opportunity data, and environmental data,” the application reads. Google sees a house’s security score having a direct bearing on the cost of insurance and security services. 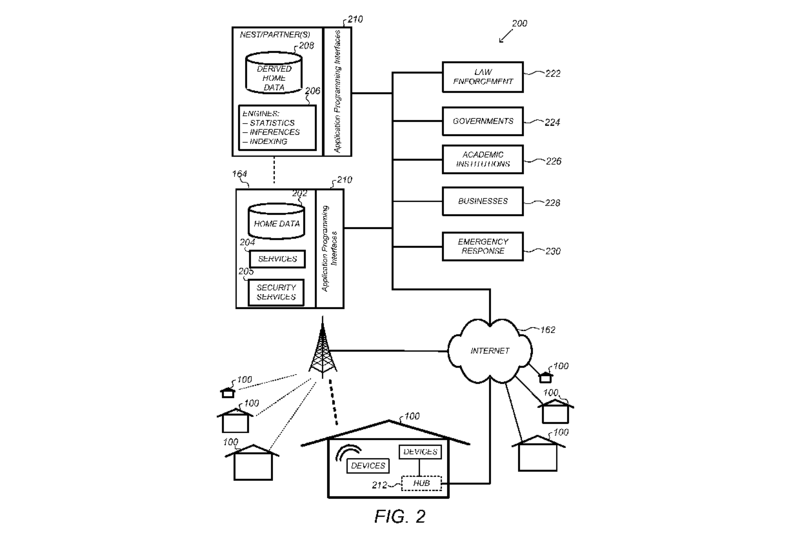 In other words, the proposed cloud-based scoring system will take into account the combined and individual capabilities of the various connected devices within a given smart home environment (e.g., battery backup/capacity, sensors, network protocols, etc.). It will also check to see if there are any impediments preventing any of the devices or the network as a whole from performing as expected (e.g., a smoke detector being located too close to an open window). Finally, it will also factor in key characteristics of the smart home environment (e.g., structural vulnerabilities and proximity to a police station) as well as the behavioral patterns of its occupants (e.g., the swiftness with which they usually respond to sensor alarms). Google seems to envision evaluating entire neighborhoods of smart homes for the purposes of security, risk assessment, and other purposes. While it’s easy to see how such a security rating could help homeowners make necessary changes to their smart-home setup, it’s not the only thing Google has in mind. The company sees a house’s security score having a direct bearing on the cost of insurance and security services: “The higher the security score of the home, the more secure the home and the cheaper the security services and/or insurance may be.” The patent application lists trespass detection and emergency notification as examples of basic security services, and “neighborhood security networks” as that of premium security services. But what exactly is a neighborhood security network? 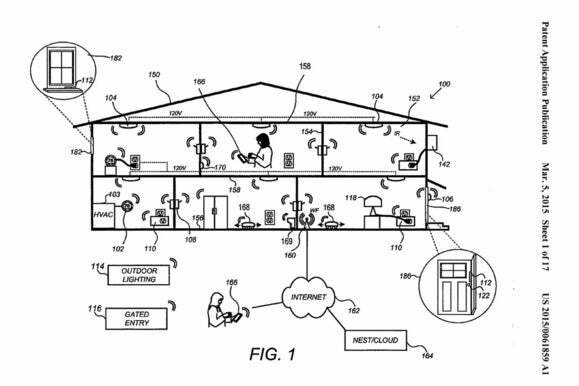 The patent filing talks of organizing different smart homes into a sort of a virtual neighborhood watch based on a variety of criteria, including location, familial ties and demography. There will be real-time sharing of information and alerts among the homes in a neighborhood created thus. The impact on you: This is just a patent application and there’s every chance that many of the ideas contained in it will never see the light of the day, or may be unrecognizable from their current selves when they are finally implemented. But in the eventuality that they do come to fruition, the likely impact could be huge and manifold. As much as we are excited about a future where smart homes are secure from both within and without, the potential privacy implications of such a wide-scale data collection program aren’t something we are willing to overlook.